I'm never going to fish that place! I decided a few weeks ago that after putting off the idea for a few years - for various reasons: ("It's not real pike fishing"... "It's far too easy to catch a huge pike on there"... "Results will drop off before I get there, like at Llandegfedd, Blithfield"... "I don't want to join the rat race in the fight for tickets and then rejoin it in the fight for best spots", etc.) 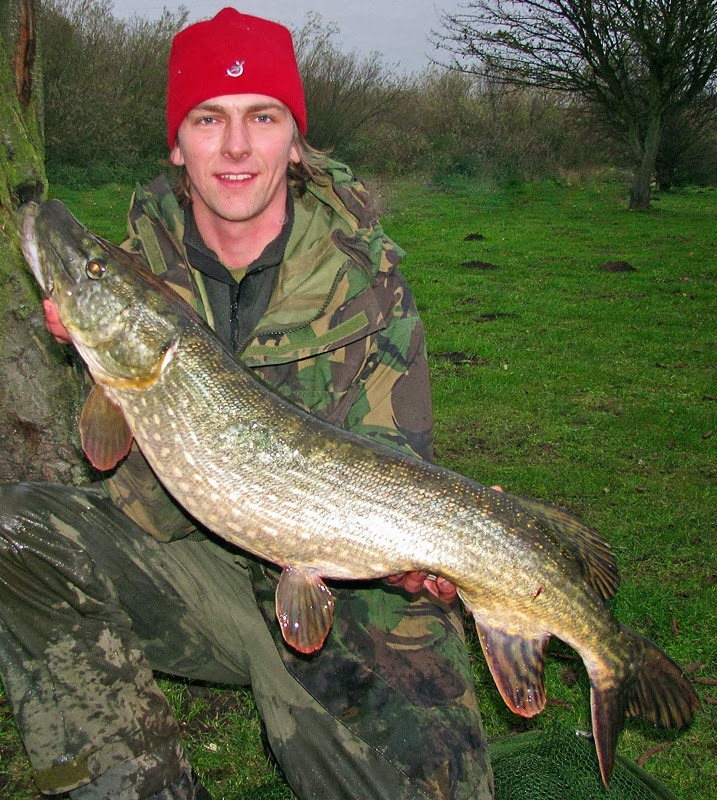 - I would finally this year try for some winter tickets to pike fish at Chew Valley Lake. I love fishing rivers, drains and canals for pike. The looks and fight of a double-figure river pike are hard to beat, but occasionally I get the urge to seek out larger fish. Visits to reservoirs in the past haven't been too productive for me, but I have the tackle and - thanks to these previous trips - a bit of experience of reservoir fishing. So what if reservoirs are man-made? The pike in these venues are as wild as any from a river. They may have an easy, protein-rich food source of naive stocked trout, but this all adds to the challenge of reservoir pike fishing. Finding pike and then convincing them to feed on your offerings when the vast water is full of spotty easy meals is a feat in itself and at the larger waters such as Ladybower I get this magical feeling of being pitched against the elements, exposed in a boat or on a barren bankside, knowing that it only takes one run to latch into what could be the fish of your dreams. My views on Chew used to be quite strong, which is a bit odd to say I've never set eyes on the place, let alone fished it! Whether it was envy or desensitisation at seeing a seemingly endless stream of pictures of "yet more huge pike from Chew" I don't know, but I convinced myself that almost everyone who turns up at Chew ended up with a fish beyond the dreams of most. That these "artificially bulked-up" pike would just throw themselves at anything dangled in front of them. It's actually the blogging community who have changed my mind about fishing there; reading blogs and articles about fishing Chew, written by anglers I respect, from Rob Thompson and Leo Heathcote's exploits to Paul Garner, Phil Smith and Tony Gibson's accounts of their own sessions at Chew. It became clear that there is much more involved in catching a big fish from Chew than the reports in the weeklies would have you believe. 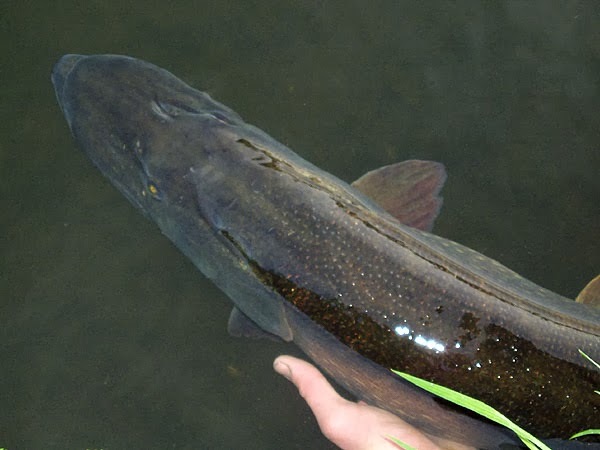 My fishing time is limited and I seem to spend less time each season fishing for pike, so I want to spend some of that time challenging myself and having the chance of landing an immense fish. 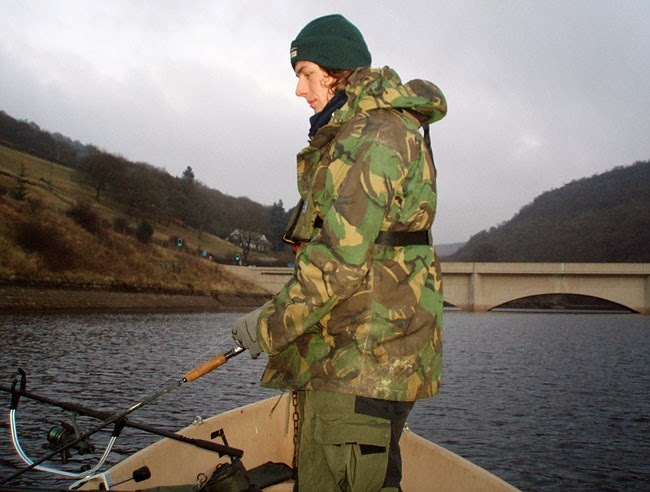 With the pike fishing at Ladybower now consigned to a winter syndicate which I could not fish often enough to get value from, I really fancy trying my hand at Chew, but with a limited number of tickets available, all of which are sold over the phone, even getting a ticket to fish the place is not for the feint hearted. Tickets for next winter went on sale on Saturday Jan 4th this year, so this first day saw me redialling as often as I could (I was at work but it was easy to keep hitting redial on the hands-free desk phone) for the majority of the 9am until 3pm booking window. Over 700 calls later I still hadn't got through! The Bristol Water Fisheries Facebook page was kept fairly up-to-date though and each evening after close of business they would announce how many tickets were remaining out of the total of 3,200-odd boat & bank tickets. I was disheartened after Saturdays efforts, but there were still plenty of spaces left on Sunday & Monday so I tried periodically maybe 30 more times on each of those days and resigned myself to having missed out. Then on Wednesday I saw there were still about 100 spaces remaining so I gave it one last shot at a sustained redialling effort. Several hundred calls later I almost fell off my chair as I heard the phone actually ring! How I didn't clumsily hang up in the excitement, I don't know! A few minutes later, after a brief conversation with a thoroughly pleasant and remarkably calm-sounding (considering the chaos of the past 4 days) bloke, I managed to book a boat for two consecutive days in late November. I didn't have any choice on dates by this point, but just to have a shot at fishing this legendary venue is enough for me! I was conscious of the fact that every minute I was on the line, several hundred other frustrated anglers would be punching the redial button in vain, so I tried to keep it as brief as possible by avoiding moaning about the system, asking unnecessary questions or ranting on about how unbelievable it was to actually get through (though all of these things were just bubbling under the surface!). I wonder how many others failed to bite their tongue and selfishly babbled on to the tackle shop staff, causing further delay and anguish to their fellow anglers who were trying to get through? I did, however, take the opportunity whilst my payment card was processing to ask how many lines in there actually were. The answer I got, straight from the horses mouth, is that there are two telephones manned by three people, which allows one person to take a break and/or fill out the necessary paperwork whilst the other two deal with telephone calls. This seems sensible to me, but many have been vocal on social networking, etc. condemning the booking system. Why would a tackle shop which has four extremely busy days a year pay for more than two lines? Or outsource their ticket sales to a call centre or something? That would only mean tickets sold out quicker but cost more to cover the added costs of the extra phone lines/call centre! Maybe there is a better solution, but by my reckoning to sell 1640 pairs of tickets (as most are sold either as 2-man boats or two anglers in pairs) in four 6 hour shifts, they still manage to process 68 pairs of tickets per hour! After a while of hearing nothing but the repeated sound of the engaged tone, it becomes the most annoying noise on earth and I'd given up hope of ever getting through. It was like trying to get Glastonbury tickets in the late '90s and early 2000s, when the event had become so popular that it could sell out without even trying, but the vast majority of tickets were still sold over the phone. The thing is, as punters we accepted the telephone ordeal as part of what you had to suffer if you wanted tickets for such a rare and special event! Nowadays, the huge music promo companies have invested millions into massive call centres and rock-solid web ordering platforms and as a result the ticket buying public have come to expect being able to have a quick, easy crack at getting tickets to pretty much anything. We've lost sight of there being any value in being one of the lucky few who've battled it out fairly and managed to get through a congested booking system. A boyband on tour or a major music festival is always going to be vastly more lucrative than a successful and sustainable pike fishing venue, so the amount invested in the booking system (which will be used week-in, week-out, taking bookings for hundreds of tours a year) is going to be gargantuan by comparison. We can't expect this level of investment or service from a fishery. It's a bloody lake with a hut that sells a few bits of tackle, so rather than moaning that they don't have state of the art booking systems, we should instead be thankful that the general public have the chance to buy tickets for such a rare and special place. Many venues with the quality of specimen fish which Chew has restrict ticket access to an exclusive few. Even with these huge booking systems, popular music events still sell out in minutes, people still have to queue on phones hitting redial or pressing refresh on their internet browsers. It just happens over a shorter period of time because these companies have so much order processing capability. If such a thing happened with the booking of Chew it would be sold out in a matter of seconds, which would actually be less fair than the current system because if anyone had a problem (e.g. loss of phone signal/internet connection/dead battery...) they wouldn't have a chance to try again later on. Before I even had tickets I couldn't honestly think of another, fair way of allocating them which wouldn't cost an insane amount to set up or be a nightmare to administer. When my call was eventually answered, my experience couldn't have been better; which considering the strain they were under and the abuse they no doubt received, was pretty damned professional! Bristol Water Fisheries even issued a statement on Sunday regarding the number of emails they were receiving about the booking process from aggrieved anglers! I almost feel like I deserve a fish now, just for going through the ordeal of making 1500 engaged calls! It was the same for everyone lucky enough to have got through though, and there will be many hundreds of disappointed pikers who weren't so lucky, so this will be in the back of my mind in the run up to actually fishing the venue. I have already been very lucky. The reality is that the majority of anglers with tickets for next winter will blank, just as happens every year. The vast majority will not catch a monster, but having now got lucky in this first lottery of Chew, there are many more lotteries standing between me & the other anglers and the pike of a lifetime. With so much demand to fish here, who knows whether I'll ever fish it again? So here's hoping my luck holds out. 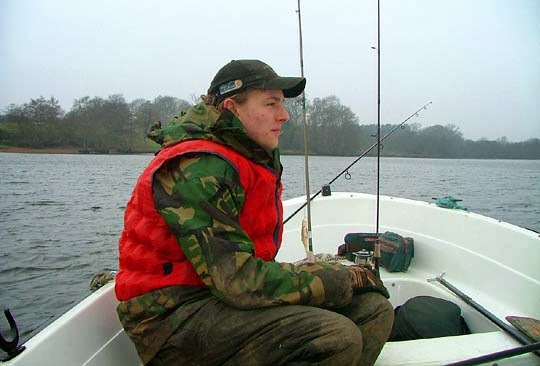 Archive Profile Pic - My pre-teen Carp PB! My second-ever carp, this 9lb 2oz fish taken at Tibshelf Ponds on freelined crust (with 10lb line straight through on a MATCH rod!) set me a long-standing PB back in the mid-90s and marked my first step towards becoming a "Specimen Hunter"
River Pike - Not Much Beats 'Em! Receive Emails When My Blog is Updated!